Nasdaq-listed Israeli chipmaker Mellanox Technologies Ltd. has achieved record revenues for the first quarter of 2019, the company announced Tuesday. 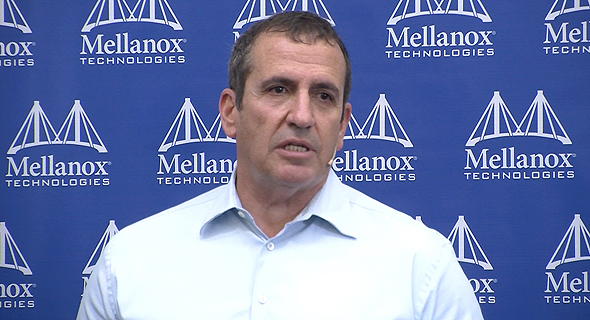 In its preliminary results, Mellanox reported revenues of $305.2 million, a 21.6% increase year-over-year, attributing it to growth in all product lines. The company reported GAAP gross margins of 64.6% in the first quarter of 2019, compared to 64.5% in the first quarter of 2018, a GAAP operating income of $44.7 million compared to $12 million, and a GAAP net income of $48.6 million compared to $37.8 million in the first quarter of 2018. The company's GAAP net income per diluted share was $0.87, compared to $0.71 in the first quarter of 2018. Non-GAAP net income per diluted share was $1.59, beating the analyst average consensus of $1.45. Israel-headquartered Mellanox develops and manufactures chips for communication networks in data centers. In March, Nvidia Corp. announced an agreement to buy the company for $6.9 billion, valuing it at $125 per share. Due to the pending acquisition, expected to close within a few months, Mellanox has not provided a forward-looking statement in its report.